New solo album of original material. Soulful ballads and blues about the joys and struggles of real life. NORTHSTAR - This is the song I sang at my father’s funeral. I had been listening to the chord structure of a Soloman Burke soul song, came home from visiting my father in the hospital and this song wrote itself. 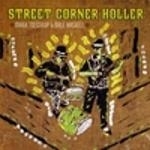 HEY HEY BABY - Love the horns on this recording and the just walked into a club in New Orleans live loose feel. I DON’T KNOW – The sax solo and my step daughters Jessie’s singing really filled out this clear eyed, late night look at romance and it's consequence. MILK & HONEY – There may or may not have been a barmaid in New York who moves just like that. OLD MAN’S BLUES – If you stop and listen you can learn a lot from an old man. A dirty joke, a story about love, a spiritual understanding of life and death. CITY IN THE RAIN – This song started with the sound in rain and the splash of tires on the street. It’s the first song I wrote that I thought of as a song someone else might be able to sing. HAUNTED HOUSE BLUES – Ghost stories are entertainment for some people but if the ghosts are someone you loved it’s a whole different thing. ON THE NICKEL – Some people can get sidelined by drugs or alcohol and may never recover. The title of this Tom Waits song refers the skid row area around Fifth Street in Los Angeles. BACKWATER BLUES – Live take of a great Bessie Smith song. Just me on guitar and vocal with Jessie on drums. FREE BROTHER – My oldest brother died at 59. Too young. Sang this at his funeral. My stepdaughter Jessie made this recording great with her vocal. She is all I hear when I listen to this. MY SONG IS DON’T WORRY – Love the message in this Floyd Dixon song. There is no need to worry overly about money and material things. DEAD MAN’S SHIRT – In the period between my brother’s death and my father’s funeral this song written by my friend Michael Eck came to me as a kind of cathartic musical outlet. REQUIEM FOR COYOTE – When I was sixteen I had a dream that I was a soldier in the Civil War. This tune came from that experience. I DON’T KNOW – The sax solo and my step daughters Jessie’s singing really filled out this song about the struggle of relationships. MILK & HONEY – There may or may not be a barmaid in New York who moves just like that. Bluesman-singer/slide guitarist Mark Tolstrup and drummer/singer/songwriter Dale Haskell release their new CD "Street Corner Holler". This collection features songs written by Tolstrup and Haskell as well as traditional material. On these tracks they are joined by the nationally renowned Tony Markellis on Bass also joining on some tracks are Ron Rost on Hammond Organ, Sten Isachsen on mandolin, Dave Sokal on tuba and great backing vocals by Mother Judge. 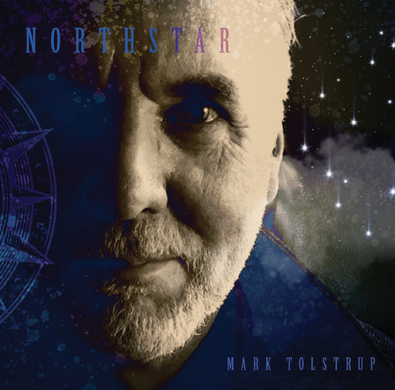 "Mark Tolstrup has unleashed some fine solo blues recordings over the years, but since teaming up with drummer-singer (Dale) Haskell, he’s taken the music up to the next level." "Mark Tolstrup & Dale Haskell are masters of balance. The slide guitarist and drummer, both fine singers, trade off between acoustic music and raunchy, pounding electric blues." "Track #2 is the Best re-working of Dylan’s “It Takes A Lot To Laugh…” you’ll probably ever hear as it sounds like it’s straight out of an East Texas roadhouse with mean, distorted guitar and a slow-grind tempo that strippers would love." Roots American blues and ragtime performed with a fresh take and yet steeped in tradition. 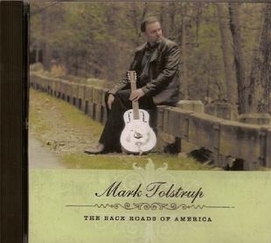 The Back Roads of America features original songs and tradition material along with "blues" interpretations of songs by other artists. Mark is ably assisted by Dale Haskell on drums and vocal harmony, Frank Orsini on fiddle and mandolin, Bob Stannard on harmonica, Ron Rost on Hammond organ and Dave Sokol on tuba. "An acoustic blues master with a genuine feel for the classic works of such blues legends as Robert Johnson, Son House and Leadbelly, Tolstrup slides and slashes up and down the neck of his National Steel guitar as effortlessly as if he was born with it in his hands. .... The album features Tolstrup's interpretations of songs by Robert Johnson and Muddy Waters, as well as a number of traditional blues and gospel nuggets. The disc also features a handful of his fine original tunes (including the heartbreaking ballad of loss "1979") and songs that you might not expect to find on a blues album -- the Beatles' "Come Together" and the Rolling Stones' "No Expectations." 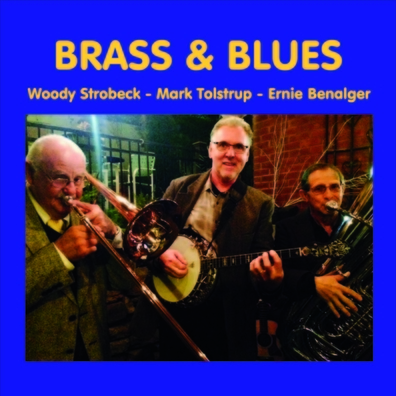 Recorded by Michael Jerling at his Fools Hill Studios in Saratoga, the CD is a genuine blues gem." Click the cdbaby icon at right to listen to samples and purchase the CD. Also available at Fool's Hill Music.This site carries many CD's by some great local artists. 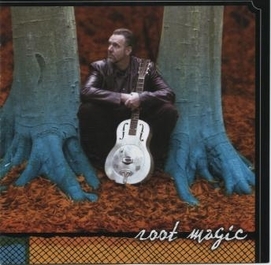 Root Magic is also available digitally online at iTunes.